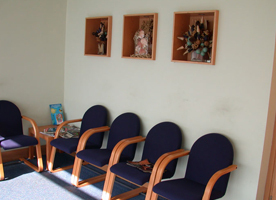 Croydon Dental Care is a large, well-established practice right in the centre of the booming town of Croydon. Located on the town’s bustling high street, the practice is one of the largest and most modern in South London, with excellent access to public transport. Trains between central London, Brighton and Gatwick pass regularly through the town, and local trams and buses go right past the front door (tram routes 1, 2 and 3 and buses 264 and 157; for directions from railway stations and local parking information, please see our map). The practice has been established since 1964 (2000 at its current location) and boasts a roster of 10 dentists and eight treatment rooms, along with hygienists and a full complement of dental nurses and reception staff. It's sister practice, Park Lane Dental Clinic, is close by, meaning dentists can move between the two practices depending on patient needs. Croydon Dental Care welcomes new patients of all ages, for both private and NHS dentistry. We use the latest equipment and techniques to fulfil our mission statement to all patients: to provide the highest quality of dental care, personally tailored to the individual whilst maintaining the optimum levels of cross infection control. Whether you require a simple dental check-up, have a dental emergency or are considering advanced cosmetic dental treatment, we can help. All of our dentists adhere to the strict guidelines governing the profession under close guidance from the General Dental Council (GDC) Standards for Dental Professionals. Our two principal dentists are Dr Uday Patel and Dr Rakesh Patel. Uday has a passion for advanced restorative and cosmetic dentistry, with a special interest in implantology, while Rakesh has a special interest in cosmetic and restorative dentistry and is a trainer of newly-qualified dentists. Every member of staff is committed to putting patients’ interests first at all times, using the latest and best techniques and equipment to provide a full range of treatments in a calm, relaxed environment. The practice is open from 9am-5.30pm on Monday, Tuesday, Thursday and Friday, and from 8.30am-5.00pm on Wednesdays. 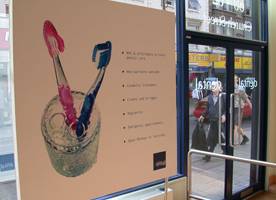 To book your first appointment, contact our reception team on 020 8686 6222.